It seems the people I know can be grouped under two specific tags, those who like Funko POP! figures and those who don’t. Well for those that do and those who are fond of rich vigilantes I’ve got some good(ish) news for you. As part of their ongoing deal with Hot Topic to provide exclusive variations of figures they produce, the next one will be of the video game persuasion. Specifically from Batman: Arkham Asylum and a navy blue suit variant of B-Man himself, harking back a little to the Adam West Batman from the 60’s perhaps. The standard black Batman can be seen on the packaging still. It’s not the first time Hot Topic and Funko have released exclusive Arkham variants, as previous releases include one for the Joker and Harley Quinn in her not particularly regulation nurse outfit. The normal Arkham line also includes Poison Ivy and Killer Croc and they join a list of other video game linked Funko POP! figures. Interestingly the packaging on these figures shows the logo for the Heroes bracket as opposed to Games, indicating that this might be more intended to be in-line with the comic spin-off of the Arkham video game series as opposed to the game itself which would be kind of unusual. 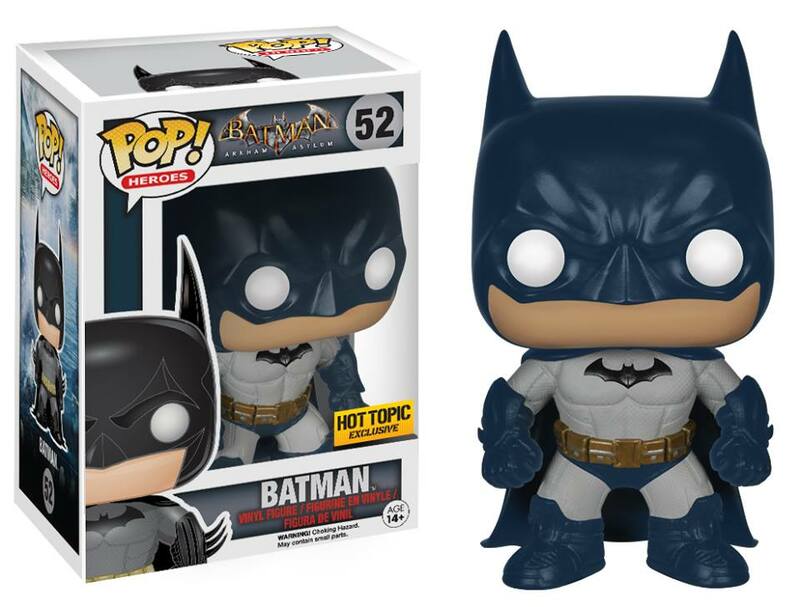 Batfans who don’t live in the US should be able to get blue-tone Bruce soon from http://hottopic.com.